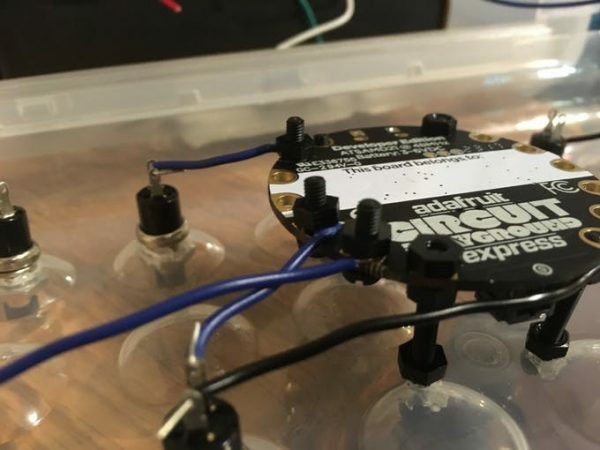 Pedal Pi Controller with Circuit Playground @Raspberry_Pi #PiDay #RaspberryPi « Adafruit Industries – Makers, hackers, artists, designers and engineers! 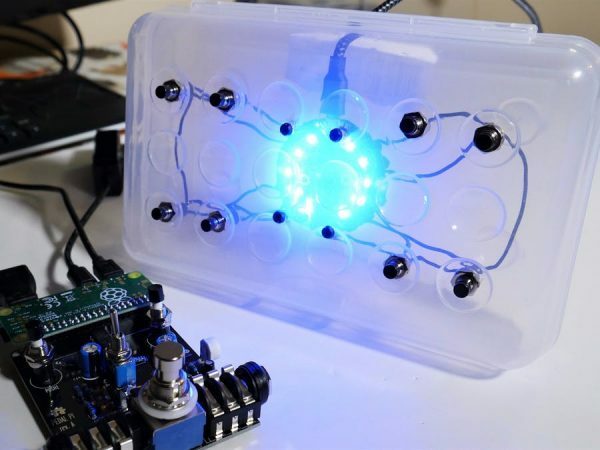 The Pedal Pi is an open source guitar pedal that uses a Raspberry Pi Zero running Raspbian Lite to run C scripts of digital effects to play around with. It’s made by Electro-Smash, an open source hardware company out of the UK. They have some other open source guitar pedals as well, based on Arduino boards but this is their first step into the magical world of Raspberry Pi. I’ve been leaning towards Adafruit m0 boards lately for their Circuit Python capability and the built-in USB HID feature without having to flash firmware. For this project I was also going for some aesthetics, namely some LEDs so I decided to go with the Circuit Playground Express, a circular board that features, well many things (it is a playground after all), but in this case I had my eye on the 10 NeoPixels available to animate. Of course going with the Circuit Playground I wasn’t getting the same number of digital I/O that I would with a Metro m0, which I did consider, but I decided instead of loading all of the effects as an option to switch between I would just select my favorites. Read full project breakdown here!